Things will be quiet here at terra incognita for the next number of weeks. The family's hitting the road for a summer road trip, and I'll be offline until sometime mid-August. I hope to be back at the blogging wheel again before summer's out, but in the meantime, happy trails and happy summer. Around this time last year I was reflecting on my preaching ministry at the FreeWay and posted this list of the focus statements of my first forty sermons at the FreeWay. The "homiletical focus," as I said back then, is a concise statement that distills the point of the text and anchors the theme of the sermon in a single compelling, (hopefully) vivid sentence. I'm at-or-around sermon #80 now, and feeling a little retrospetive, so I compiled this list of the focus statements of my last forty sermons at the FreeWay. 2. 1 Peter 2:4-10: God’s building a living cathedral made out of transformed people. 3. John 8:12-20: As God is my witness, I light the way. 4. John 6:34-51: I’m the food that will feed you forever. 5. John 10:1-10: I’m your doorway to God; and I’m God’s doorway to you. 6. John 10:11-21: I’m the God who gives his own life to give life to his own. 7. John 11:17-27: I’m the next life, happening now. 8. John 15:1-11: I’m the tree, you’re the branches, God’s the gardener, love’s the fruit. 9. John 8:49-59: Jesus is the I AM God. 10. Romans 1:14-17: The Gospel is the power of God at work. 11. Colossians 4:2-6: Pray and prepare for God to open a word door. 12. Acts 16:11-15: The Gospel stands at the crossroads with God. 13. Acts 17:22-32. I know the name of your unknown God. 14. Hebrews 10:15-18. Our God has remembered to forget. 15. Isaiah 11:1-10: The perfect son of Jesse brings us perfect knowledge of God. 16. Isaiah 9:1-7: God meets our greatest expectations through the great humility of a child. 17. Isaiah 2:1-5: The peace of God will reign in the end. 18. Luke 2:10-14: Don’t be afraid. 19. John 1:14: The glorious word of God has taken on our fragile flesh. 20. Matthew 2:1-12: Who has seen the child who upsets the status quo? 21. Matthew 4:1-11: So Jesus: what kind of Messiah are you, anyways? 22. Ecclesiastes 1:1-10: Nothing’s worth the effort in a world where nothing’s ever new. 23. Ecclesiastes 2:1-11: Filling up on pleasure only leaves you empty in the end. 24. Luke 8:26-39: The cure is sitting at Jesus’ feet. 25. Ecclesiastes 2:17-26: God can redeem the rat race. 26. Ecclesiastes 3:1-14: Everlasting God gives a season for everything and everything for a season. 27. Romans 6:1-11: Baptism shows the world I’m dead to sin and alive to God. 28. Ecclesiastes 4:1-3: I’d rather not live, in a world with no one to comfort the exploited. 29. Ecclesiastes 4:7-12: Togetherness is God’s best for us. 30. Matthew 21:12-17: The vulnerable see in Jesus what the self-sufficient never can. 31. 1 John 4:1-4: Love is a sacred choice. 32. John 19:31-37: Tonight your perfect Passover lamb is slain; his blood is on the doorpost of the world. 33. John 20:11-18: Let go of what was crucified; step into new creation. 34. John 20:19-23: Receive the Holy Spirit and let God unlock the door. 35. Proverbs 31:10-31: The King’s ideal Bride is the picture of perfect wisdom. 36. Philippians 4:9-11: Practice all the time for God’s peace (in your marriage). 37. Nehemiah 1:1-11: When the walls are broken down, that’s our call to fast and pray. 38. Matthew 28:16-20: I’m heaven’s authority on earth now—now go be my disciple-making disciples. 39. Acts 2:42-47: The Spirit-filled community overflows with life for the world. 40. Acts 20:7-12: Hey Eutychus: Wake up! Get up! And come to the table. Because up until about 1951, Canada’s official name used to be “the Dominion of Canada.” Because "dominion" means a place where a king rules, and Canada, of course, was established as a constitutional monarchy under the crown of Britain. In fact, being a constitutional monarchy, the founders of Canada actually toyed with the idea of calling us “the Kingdom of Canada,” but they felt the phrase would be too provocative to our anti-monarchical neighbours to the south, so they settled for “Dominion of Canada" instead. No need ruffling Eagle feathers when you don’t have to. Hence "Dominion Day." But there's more to it than that. The story goes that the name “Dominion of Canada” was suggested by a certain Sir Lenorad Tilley, who took the idea from Psalm 72:8. Sir Leonard Tilley, we're told, saw that bit there about God’s king having dominion from sea to sea, and he was inspired with this glorious vision of a God-fearing nation having dominion from sea to sea to sea... from Cape Spear, Newfoundland to Tofino British Columbia... and history was born. 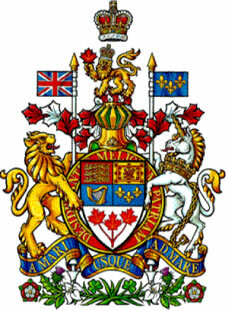 To this day, the Latin motto of Canada is "A Mari Usque Ad Mar." From Sea to Sea. So I was thinking about all of this, after I got my package of Roman Candles safely home and all. I was thinking about how a lot has changed in Canada since the days of Sir Leonard Tilley, back when the vision of a Christian nation would have seemed pretty plausible; and I was thinking about Psalm 72, and its glorious vision of a God-fearing people whose God-fearing king has dominion from sea to sea and how it’s hard, sometimes, it’s hard to even imagine what that would look like now a days. I mean, sure, back in 800 BC when this Psalm was written, back when “theocracy” was the only system of government the social studies text books ever mentioned, back then you could maybe imagine it, but 2800 years later, in 2011? What are we supposed to do with this vision of a “Dominion of God” in Canada today? Because this is actually, the big question for us as Christians in public life: how are we realizing Psalm 72’s vision of a “Dominion of God” in Canada today? Not just because today is Canada Day (formerly known as Dominion Day), but because the truth is: God demonstrates his dominion through the loving work of his people. In the loving work of his people. That’s where you glimpse the Dominion of God today. And suddenly Psalm 72 is echoing like a trumpet call across 3 millennia, summoning us to loving action in our world. Because, what does Psalm 72 say things will look like when God’s King has dominion? The children of the needy are helped. The oppressor is disarmed, and political, social, and economic systems of oppression are dismantled. Peace reigns... in abundance.. as long as the moon endures. I mean: what is this other than the work of God’s people? This is stuff followers of Jesus are supposed to be about in the world. It’s salt-of-the-earth kind of stuff. Light-of-the-world kind of stuff. City-set-on-a-hill kind of stuff. And whenever Christians are involved in this kind of work in public life— in our nations or in our neighbourhoods—as we strive to bring justice to the exploited, and a voice to the vulnerable, and freedom to the oppressed, and peace to the troubled—as we answer the call of Psalm 72 on our lives, we’ll discover, I think, that it’s true: God demonstrates his Dominion, through the loving work of his people.